Find out what BEAM is up to! July 24-25, 2019 BEAM is excited to serve as a community sponsor for FreeFrom's first ever Survivor Wealth Summit. The Survivor Wealth Summit will explore financial trauma and healing for survivors, how financial abuse operates in movements and in relationships, and help us build resources and a vision for economic justice. Our Executive Director Yolo Akili will also be speaking. Join us for this very important convening!!! Register Here. March 16th, 2019 BEAM facilitated “Integrating Emotional Justice: Race, Bias and Organizational Change, an interactive capacity-building training to discuss, manage and transform unconscious bias in Baltimore, MD! March 11th, 2019 BEAM's Executive Director Yolo Akili was featured in an interview by Dwayne C. Proctor, the Senior Advisor to the President of the Robert Wood Johnson Foundation, on "Where Mental Health & Social Justice Meet." Read the interview from the Culture of Health Blog here. March 11th, 2019, BEAM facilitated "Trauma Informed & Emotionally Intelligent: Leadership & Healing in HIV/AIDS Work," an interactive capacity building workshop for the AIDS United, Southern HIV Impact Fund Grantee Convening in Fort Lauderdale, Florida! March 7th, 2019 BEAM’s work was highlighted in Shonda Rhimes' media platform, Shondaland! Read the full interview with our Executive Director on mental health education, self-care and liberation here. 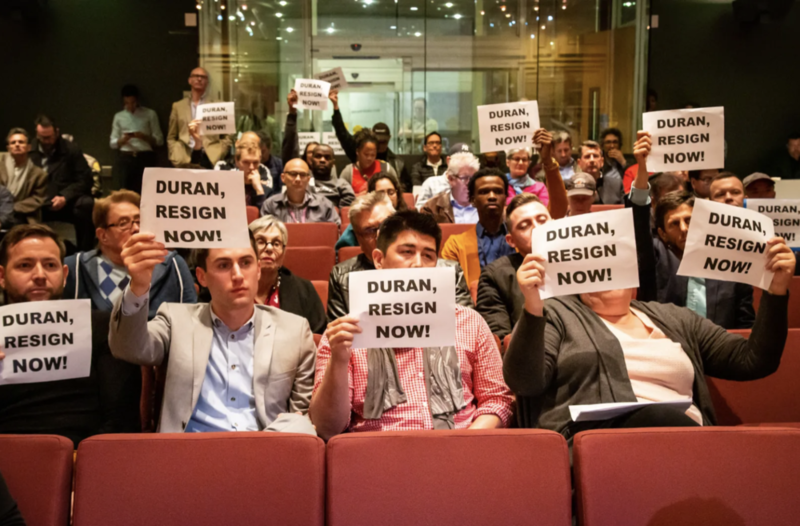 March 7th, 2019 BEAM's Executive Director shared insights on the #MeToo Scandal of West Hollywood Council Member John Duran. Read the full article on "Why Are So Many LGBTQ Groups Staying Silent About This #MeToo Scandal" here. February 28th, 2019 BEAM’s Executive Director Yolo Akili facilitated "Healing Justice: From Individual Level Change to Systems Level Intervention," a provocative workshop and brainstorm session at the Evidence Informed Interventions convening in Atlanta, Georgia! 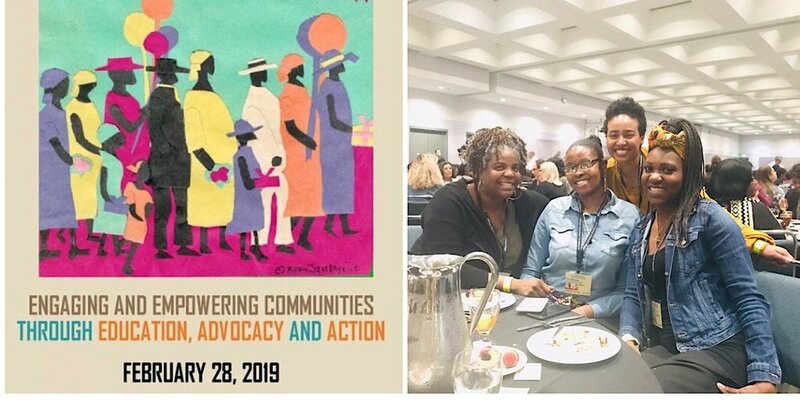 February 28th, 2019 BEAM’s Training Coordinator Isabel Shawel attended the 2019 African American Mental Health Conference, participating in discussions with dynamic Black leaders and generations of wisdom in the field! February 12, 2019 BEAM’s Executive Director led the Southern leadership co-hort of AIDS United in our Emotionally Intelligent Leadership Training in Dallas, Texas. February 11th, 2019 BEAM wrote an Op-Ed in the LA Sentinel to urge LA County Board of Supervisors to vote NO on the proposed Mental Health Jail construction. Read the full article here. February 8th, 2019, BEAM Trainer Dr. Michael Chan-Frazier presented our Black Mental Health & Healing Justice training to college students in Sarasota, Florida at the New College of Florida! February 2, 2019 BEAM is excited to announce our fundraiser Black Healing Remixed with “Black-ish” Co-star Jenifer Lewis!! Join us in Los Angeles for a night of fun, honesty, laughter and learning. Tickets on SALE NOW here. January 7, 2019 BEAM hosted a twitter town hall entitled “Global Blackness and Mental Health,” a conversation on healing, mental health and wellness in Black and African communities around the world. Click here to watch the highlights on Instagram. November 19, 2018 BEAM launched its “Our Healing on Our Terms: Exploring Black Trans Wellness” Initiative with its inaugural #BlackTransWellness Twitter Townhalll Discussion. Click here to watch the highlights on Instagram. November 2, 2018 BEAM facilitated a Self-Care and Social Justice workshop in Los Angeles for Watts Health Care staff focusing on mental health literacy, self-care and leadership. November 1, 2018 BEAM's Executive Director shared about the importance of honoring our healing in November's issue of Essence. The important issue is guest-edited by Tarana Burke of #MeToo and centers the voices and work of Black women fighting to end sexual violence and support survivors. Read about BEAM's highlight here. October 29, 2018 BEAM is honored to be one of the eight recipients of New York Women’s Foundation’s “Fund for The Me Too Movement and Allies” in partnership with Tarana Burke and the Me Too Movement! The goal is to sustain the #MeToo cause and support organizations working to prevent sexual violence and promote healing. Read more about the new funding here. October 18-21, 2018 BEAM was excited to participate in the 12th National Harm Reduction Conference in New Orleans, presenting and guiding conversations about the intersections of harm reduction services, queer communities of color, and crystal meth! October 12, 2018 BEAM’s Executive Director was featured on media mogul Shonda Rhime’s website Shondaland, talking about mental health in Black communities and BEAM’s work. Click here to watch the full video! September 27th, 2018 BEAM interviewed founder of #TakeDownTina, Jacen Zhu, during an online conversation on Meth and how we can support our communities from a healing justice perspective as families and friends. September 13th, 2018 BEAM Executive Director Yolo Akili joins Uproxx Media for a conversation on Mental Health Stigma. September 7th, 2018 in Orlando Florida, BEAM will present at the United States Conference on AIDS a workshop on Self Care for Positively Fearless. August 9th and 10th BEAM will host it's first "Black Mental Health and Healing Justice Training" in Los Angeles, California. Applications will open up May 28th, 2018! BEAM will be partnering with the LEAD Academy at the Southern AIDS coalition to provide Emotionally Intelligent Leadership Trainings to activists, HIV/AIDS workers and more in May and June 2018 in Gainesville, Florida, Panama City, Florida, Montgomery, Alabama, Nashville Tennessee, Huntsville Alabama, and more! April 26th,2018 BEAM will facilitate the opening day of the HealtheVoices Conference in Chicago, IL. Learn more about HealtheVoices here. March 10th-13th,2018 BEAM will facilitate two trainings for the grantees of AIDS United's Southern HIV Impact Fund; "Integrating Healing Justice" and "Emotionally Intelligent Leadership in New Orleans, LA. February 10th, 2018 Join BEAM for "Black Love is" an event in Los Angeles, which will feature a keynote from our Executive Director. December 13th,2017 BEAM partners with the Black AIDS Institute for a webinar on Emotionally Intelligent Leadership. Registration information below. BEAM acknowledges World AIDS Day, December 1st, 2017. November 28th, 2017, BEAM promotes #MentalHealthMagic for #Giving Tuesday. Donate to BEAM here. Dec 14th, 2017 in Los Angeles, California, BEAM hosts a celebration of the work and life of Joseph Beam with numerous actors and activists. Tickets available here. November 12th, 2017 in San Diego California, BEAM will present The Black Mental Health Literacy Skills Builder; at the ViiV Health Care Annual Community Summit. BEAM will host a webinar on Black Gay men and Intimate Partner Violence co-sponsored by ETR & Associates, The Counter Narrative Project and The Northwest Network For Bi, Trans, Lesbian and Gay Survivors of Abuse. Registration for the webinar is available here. September 26,2017 in Atlanta Georgia, BEAM will facilitate our Emotionally Intelligent Leadership for the Positive Action Grantees, 30 community based organizations throughout the southern United States. For more information on the initiative, click here. August 4th, 2017, BEAM founder Yolo Akili will present the morning keynote for 2017 Community Prevention Initiative Regional Training in Long Beach, California. Click here for more information. July 28th, 2017, Join BEAM on twitter with the American Psychological Association and many more for a conversation on why talking with your kids about race can help them! July 20th, 2017, Join BEAM on twitter with the American Psychological Association for an exploration of the history of racism and Psychology! July 24: at the Bloomberg School of Public Health at Johns Hopkins University, BEAM will facilitate the ACCELERATE! Learning Community - July Technical Assistance Session – Monday, If you are interested in participating, please register at this link. "Why Black Mental Health Literacy Matters" which explains BEAM's work and SJM Model. Read here. July 21st and 22nd: BEAM will facilitate "Imagining Otherwise: Black Feminist Consciousness for Black Men and Boys Retreat" for the African American Policy Forum. Applications for participants are open until July 1st, 2017. Click the logo for more. June 27th: BEAM Co-sponsors #YouGoodMan for Men's Health Month, focusing on Justice and the mental health of Black men and boys! Register here. May, 2nd, 2017: BEAM facilitated "Emotionally Intelligent Leadership & Social Justice" at UCLA, as a part of their "Trauma and Substance Abuse" training program for public health researchers! May 31st 2017: BEAM Co-sponsors #GetSomeJoy: "A Blackstravaganza for Mental Health Awareness" kick off in New York City at the Schomburg Center For Research in Black Culture! Check back for more details! May 2nd, 2017 BEAM kicks off #MentalHealthAwarenessMonth with a #BlackLight twitter town hall on Medication Myths & Black Mental Health! April 8th, 2017: BEAM conducts its first Masculinity & Mental Health Seminar for the men's program at California State University, Dominguez Hills. March 16th, 2017: BEAM hosts its first #BlackLight Twitter town hall on "Misogynoir, Mental Health & Healing" on at 1:00-2:00 P.M ET. Click here for more information. "Emotional Health & HIV: A Seminar for People of All Statuses." Pictured is Founder of BEAM Yolo Akili and Founder of the National Trans and Queer Therapists of Color Network, Erica Woodland. More than 25 organizers, activists and young people joined the seminar.